Engagement on Facebook pages associated with members of both major political parties has continued to fluctuate in the months following the social media giant’s major algorithm changes in 2018, according to a continued analysis by The Western Journal. The year 2018 was full of changes for the social media platform. After Facebook implemented changes to its News Feed algorithm in January, The Western Journal confirmed that publishers, including public officials, had been significantly affected by the change. Facebook also experienced a series of data breaches that brought security and privacy to the forefront of concerns about social media. Analysis of data from January 2019 indicated that there still seems to be a disparity in interaction rate on Republican and Democratic congressional Facebook pages. The Western Journal recently analyzed the interaction rates on congressional Facebook pages from January 2019. For comparison, previous analysis had shown pages operated by congressional Democrats had an average interaction rate of 0.86 percent for the month of December, whereas pages owned by their Republican counterparts saw an average interaction rate of 0.55 percent. Speaking generally, interaction rates for all Congressional pages trended downward for the month of January. During the first week of January (Jan. 1 – Jan. 5), Democratic pages had a 1.52 percent interaction rate, while Republican pages saw a 1.47 percent interaction rate. In the second week of January (Jan. 6 – Jan. 12), there was a 1.00 percent interaction rate on Democratic pages and a 1.18 percent interaction rate on Republican pages. During the week of Jan. 13 – Jan. 19, Democratic pages had a 0.83 percent interaction rate compared to a 0.89 percent interaction rate on Republican pages. From Jan. 20 – Jan. 26, there was a 1.06 percent interaction rate on Democratic pages and a 0.99 percent interaction rate on Republican pages. During the last week in January (Jan. 27 – Jan. 31), Democratic pages had a 0.63 percent interaction rate, while there was a 0.58 percent interaction rate on Republican pages. It was a busy news cycle in January, with controversy over viral events and political transitions following the 2018 midterm election. The Democratic Party took control of the House of Representatives when the new Congress began on Jan. 3, but they quickly faced controversy over the comments of a freshman member of the Democratic caucus. House Minority Leader Kevin McCarthy later criticized Speaker of the House Nancy Pelosi for not adequately reprimanding Tlaib, but Pelosi responded that she was not in the “censorship business” even if she disagreed with the language. 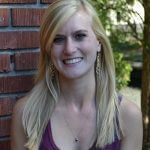 The 46th annual March for Life in Washington, D.C. was on Jan. 18. Following the event, a viral social media clip of an interaction between Covington Catholic High School students and a Native American activist created controversy around the country. Many news outlets reported that the boys, who were wearing “Make America Great Again” hats, were making fun and taunting the Native American elder, Nathan Phillips. However, after additional footage was released, it was apparent it was actually Phillips who had approached the boys while banging a tribal drum. President Donald Trump tweeted his support of the students and called out the media for its handling of the situation. Another event that created controversy was a police report from actor Jussie Smollett who alleged he was assaulted on a Chicago street by supporters of President Donald Trump. Smollett, who is black and openly gay, said the two men shouted racist and homophobic slurs at him before they put a noose around his neck and doused him with a chemical. He also claimed the attackers referenced Trump’s MAGA slogan. Police investigated the incident as a possible hate crime and many public figures came out in support of the actor, including House Speaker Nancy Pelosi. The partial government shutdown that went into effect on Dec. 22 continued throughout January and finally came to an end on Jan. 25 when Trump signed a bill to fund the government through Feb. 15. In the House of Representatives, there was a 1.77 percent interaction rate on Democratic pages and a 1.89 percent interaction rate on Republican pages during the week of Jan. 1 – Jan. 5. During the week of Jan. 6 – Jan. 12, Democratic pages had a 1.10 percent interaction rate compared to a 1.92 percent interaction rate on Republican pages. There was a 0.89 percent interaction rate on Democratic pages and 1.39 percent interaction rate on Republican pages during the week of Jan. 13 – Jan. 19. There was a 1.16 percent interaction rate on Democratic pages and a 1.35 percent interaction rate on Republican pages from Jan. 20 – Jan. 26. During the week of Jan. 27 – Jan. 31, Democratic pages had a 0.62 percent interaction rate compared to a 0.92 percent interaction rate on Republican pages. In the Senate, there was a 1.27 percent interaction rate on Democratic pages and a 1.05 percent interaction rate on Republican pages during the week of Jan. 1 – Jan. 5. Interaction rates during the week of Jan. 6 – Jan. 12 were at 0.90 percent for Democratic pages and 0.43 percent for Republican pages. There was a 0.77 percent interaction rate on Democratic pages and a 0.39 percent interaction rate on Republican pages during the week of Jan. 13 – Jan. 19. During the week of Jan. 20 – Jan. 26, there was a 0.95 percent interaction rate on Democratic pages and 0.63 percent interaction rate on Republican pages. In the last week of January (Jan. 27 – Jan. 31), Democratic pages had a 0.64 percent interaction rate compared to a 0.23 percent interaction rate on Republican pages. In January, Facebook CEO Mark Zuckerberg announced that the social media platform would be rolling out a new algorithm. This algorithm would prioritize “friends, family and groups” in users’ News Feeds and show fewer public content, such as posts from “businesses, brands and media.” The decrease in interaction rates on these representatives’ pages indicates that some pages have indeed been unevenly impacted, intentionally or unintentionally, since this change was made. This change continues to have serious implications for the future. According to a July analysis by The Western Journal, Facebook pages associated with members of Congress from both major parties saw a significant decrease in interactions with readers in the months immediately following that algorithm change. However, the Facebook pages of Republican members of the House and Senate were affected more than those of their Democratic counterparts. 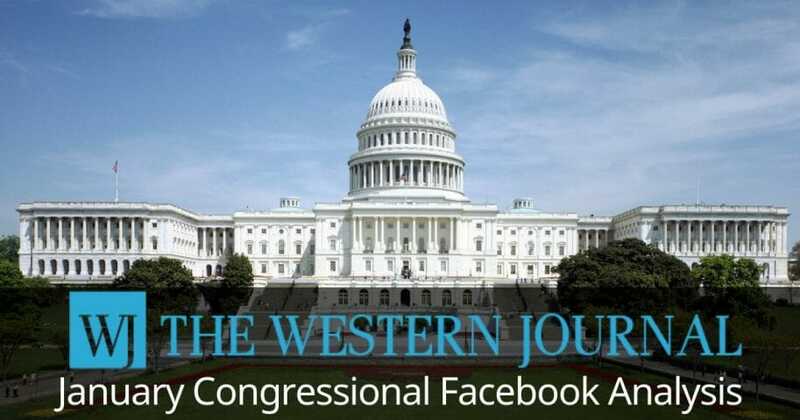 To conduct this evaluation, The Western Journal extracted Facebook data from CrowdTangle for all current members of Congress with an official Facebook page, using CrowdTangle’s lists: U.S. House Democrats Official, U.S. Senate Democrats, U.S. House GOP and U.S. Senate GOP.